Flying Blue, the mileage program of SkyTeam partners Air France, KLM and Air Europa, offers discounted Promo Awards where you can book award flights for as much as 50% of the miles normally needed. The program recently started releasing a new set of Promo Awards on the first of every month (instead of every two months as it used to do), and the list of awards you can book between April 1 – April 30 for travel June 1 – July 31 is now up. First, the bad news. There are only two new North American cities on the list: Boston and Houston, and awards are only in economy and only discounted 25%, so roundtrips will cost you 37,500 miles. 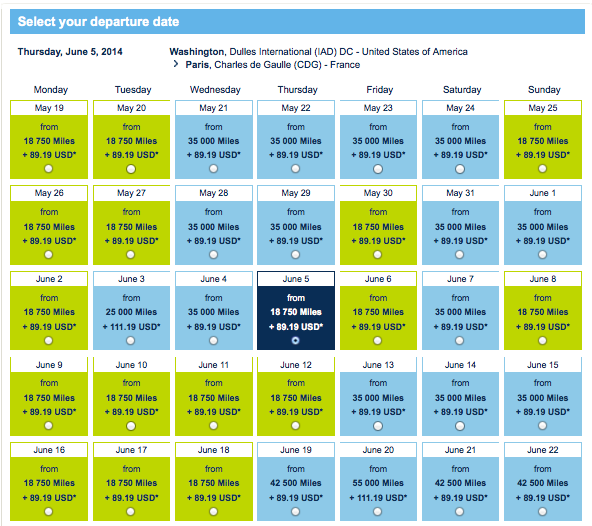 Whereas in the past flights have been priced at 50% of the miles, now some are only discounted 25%. Coupled with the recent Flying Blue award chart devaluation, don’t plan on saving too many miles on those routes However, this is still nearly 40% fewer miles than SkyTeam partner Delta would charge you for the same awards, so it’s a significant discount and unlike Delta awards (for now) you can book Flying Blue awards one way, giving you extra flexibility. So you could still end up saving a lot of money. I am just disappointed that there aren’t more gateway cities from North America, that the award discounts are only 25% and that there are no business class awards. 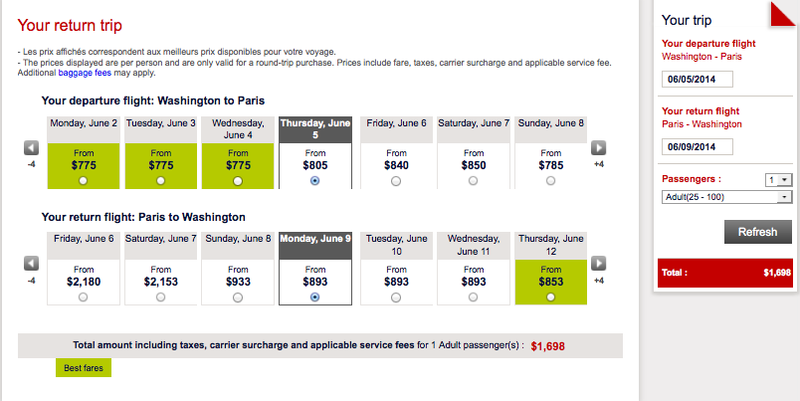 What’s interesting is that the two competing alliance hubs – Frankfurt for Star Alliance and Heathrow for Oneworld – are both included this time around, so you can use your miles from other carriers like United and American to get to one of those cities and then book discounted awards from there, and remember, Europe covers a huge amount of territory under Flying Blue’s rules, including Turkey and Israel, so you could potentially score award tickets from London to Istanbul for as little as 7,500 miles each way and from Frankfurt for 5,000 miles each way! While I’d like to see bigger discounts of 50% on more classes of service and from more cities, there are still some good deals here. If you don’t have enough miles, remember that Flying Blue is a 1:1 transfer partner of American Express Membership Rewards, so if you have a card like the Premier Rewards Gold Card from American Express or Platinum Card® from American Express, this promo could be a good value for using those Amex points especially if they run another 35% transfer bonus like they ran last May. You could also transfer Starwood Preferred Guest points to Flying Blue, and get a 5,000-mile bonus on transfers of 20,000 miles. The current bonus on both the Starwood Preferred Guest Credit Card from American Express and the Starwood Preferred Guest Business Credit Card from American Express are 25,000 points when you spend $3,000 (personal card) and $5,000 (business card) in the first 3 months.